'Saisons' is the French word for seasons – an apt name for a collection of wedding jewellery that marks a spectacular new phase in a woman’s life. The Saisons jewellery collection by Singapore jeweller Lee Hwa Jewellery is an elegant interplay between rose gold and diamonds across a series of delicate jewellery pieces including necklace, earrings, and bracelet. Each jewellery piece in the Saisons jewellery collection displays a consistent pattern of 18K rose gold and round diamond bands, interlacing to symbolize the intertwining lives of a couple committed in love. 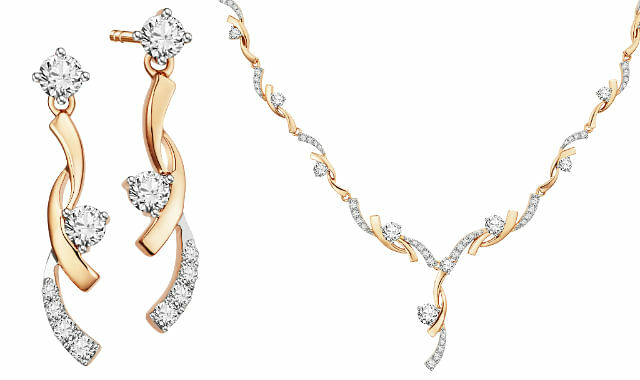 Larger brilliant diamonds adorn the Saisons necklace and the Saisons earrings at regular intervals, representing the glorious milestones in this everlasting journey of love. Also using rose gold and diamonds, the Destinée Comme Une wedding bands emanate a strong contemporary tone with the use of the rare black gold. Slender double bands of rose gold burn a fiery path along the black gold ring shank. A single diamond is set in the centre of the groom’s ring, while the bride’s ring is speckled with dazzling diamonds across the entire circumference. Lee Hwa Jewellery Saisons wedding jewellery collection and Destinée Comme Une wedding bands are available in all Lee Hwa Jewellery boutiques, including Lee Hwa Jewellery Marina Square #02-300, Tel: 6339 5572, Lee Hwa Jewellery ION Orchard B2-58, Tel: 6509 8820, and Lee Hwa Jewellery Plaza Singapura #01-05, Tel: 6338 1930. The Saisons Bracelet costs $1,838; the Saisons Necklace is priced at $5,398, and the Saisons Earrings cost $858. 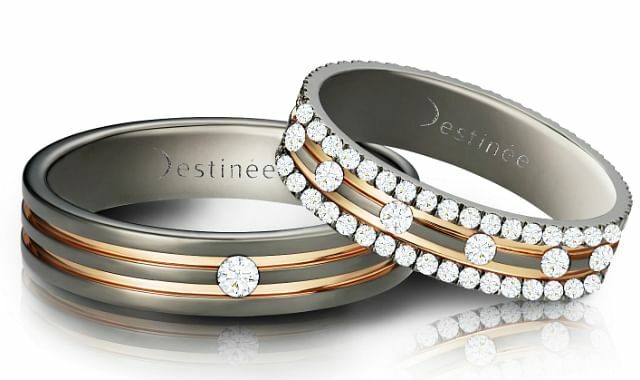 The Destinée Comme Une wedding bands are priced on request; depending on the diamonds used. For more information on Lee Hwa Jewellery’s Saisons and Destinée wedding jewellery collections, go to www.leehwajewellery.com. You can also follow Lee Hwa Jewellery on Facebook at www.facebook.com/LeeHwaJewellery. 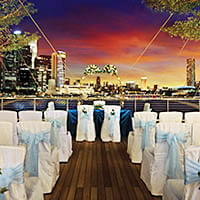 Outdoor solemnisations or grand wedding banquet? This stylish rooftop venue has both!